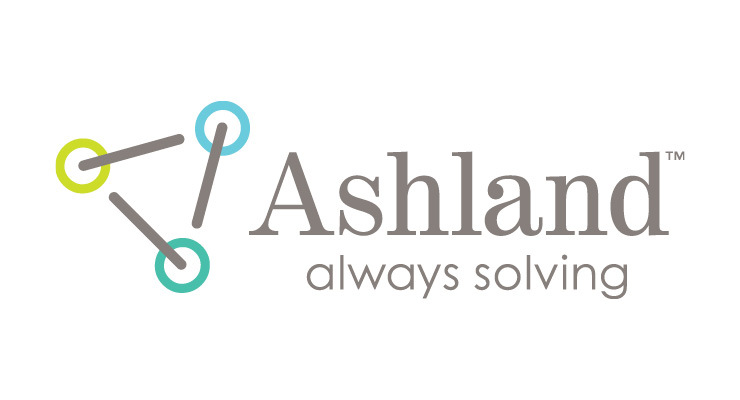 At Ashland, we are passionate, tenacious solvers who thrive on developing practical, innovative, and elegant solutions to complex problems in personal care formulations, always pushing the boundaries of what's possible, and advancing the competitiveness of our customers in hair, skin, sun and oral care. always solving. Ashland is a premier global specialty chemicals company serving customers in a wide range of consumer and industrial markets. We are passionate, tenacious solvers who thrive on developing practical, innovative and elegant solutions to complex problems for customers in more than 100 countries. Through formulation expertise, measurement and consumer science, Ashland brings differentiated and specialized ingredients to meet the needs of the personal care market including plant-based biofunctional actives that advance the efficacy of anti-aging and skin health; rheology modifiers that create functional and alluring textures; multifunctional ingredients with substantiated benefits that can transform the usability of formulations, and more. In 2018 Ashland was named Responsible Care ® Company of the Year by the American Chemistry Council who also named our employee engagement program Responsible Care ® Initiative of the Year. In 2018 EHS Today named Ashland among America’s Safest Companies and our remarkable brand transformation was recognized as a REBRAND ® 2018 Winner of Distinction among prestigious and impactful global branders such as COTY, Cadillac, Siemens and more. Aqualon ™ EC N-200 PC, an oil/organic solvent dispersible film former and thickener, is typically used in anhydrous formulations, such as sunscreen oils, makeup removers. In color cosmetics formulations, this film former imparts shine, improves wear, and increases color brightness. AquaStyle ™ 300 N multifunctional fixative and styling polymer is ideal for creating extreme styles with durable hold and protecting hair from the elements. Primarily for styling gels and creams, this versatile film former can be applied to wet or dry hair. Captivates ™ A encapsulates delivers unsurpassed performance in home care applications. Innovative encapsulation chemistry is usedto protect fragrances and deliver superior long-lasting stability and performance. Does not use formaldehyde and urea. Lubrajel + marine hydrogel, derived from natural ingredients (COSMOS validated), is a multifunctional sensory enhancer for creating moisturizing skincare formulations easily. Optimage ™ SF microgel provides rapid and long-lasting improvement in the appearance of fine lines and wrinkles. This microgel is a patent-pending technology that is soft, silicone-free, predispersed, and robust in formulation. Procataline ™ G2 is a natural (COSMOS validated) botanical extract designed to help detox hair and purify the scalp against everyday air pollutants. Puraloe ™ offers extremely highly pure, organically certified Aloe vera that is responsibly sourced from Ashland farms in Mexico. Ashland’s 100x and 200x powders are additive-free, solvent-free, and extensively certified, including Organic*, IASC**, Kosher, Halal, and GRAS***. SeaStem ™ biofunctional with Zeta Fraction ™ technology helps regenerate skin and protect against the negative effects of exposure to certain common airbourne environmental pollutants. Suprastim ™ , sourced from the Amazonian superfruit camu-camu that is renowned for its high vitamin C content, enables cells to re-balance their natural energy flows helping mitigate the signs of skin fatigue and restore a more luminous glow. advantage ™ polymer. aquacat ™ cationic solutions. aqualon ™ cellulose. aquaflex ™ film-formers. aquastyle ™ polymers. benecel ™ hydroxypropyl methylcellulose (HPMC). ceraphyl ™ esters. cerasynt ™ emulsifiers. conditioneze ™ polymers. conarom ™ b aromatic. escalol ™ UV filters. flexithix ™ polymer. gantrez ™ polymers. ganex ™ polymers. hydrosheer ™ sun care technology. lubrajel + hydrogels. jaypol ™ acrylic-based polymers. n-hance ™ cationic guars. optiphen ™ preservatives. prolipid ™ lamellar gels. plasdone ™ oral care polymers. rapithix ™ rheology modifiers. sorez ™ polymers. styleze ™ polymers. ultrathix ™ polymers. x-tend ™ solvents. zeta fraction ™ technology.